These cedar planter boxes or window boxes are readily available at home improvement centers. I purchased this one at our local Menard's. It's 24" wide and unfinished. 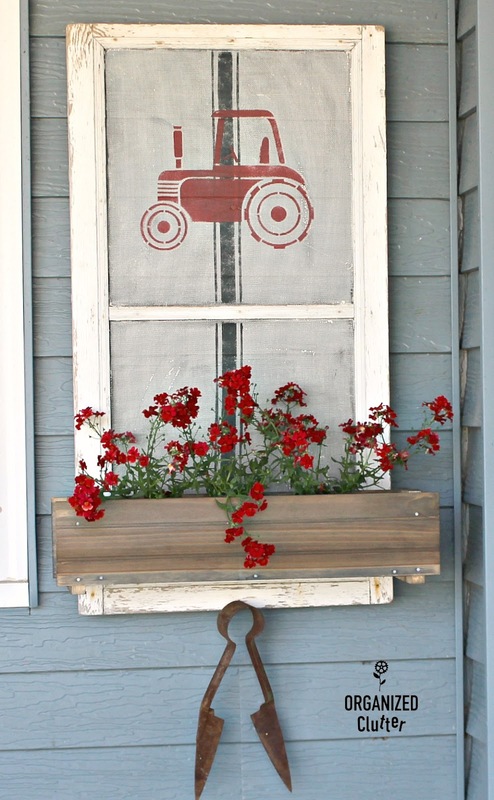 I decided to age the window box with Varathane Weathered Wood Accelerator . This product worked very well for me with cedar pickets. I brushed on two coats. Read on to see the rest of this project. I purchased some window screens at a garage sale a couple of years ago. I have used them for projects and outdoor vignette backdrops. In today's project, I am using this 23" window screen with chippy white paint. I did not repaint the window screen frame, but I did brush on a couple of coats of Chalked Paint in Chiffon Cream on the screen. Use a light hand on the screens. You don't want all of the holes filled with paint, however, leaving a few spots with paint gives the screen a more aged appearance. You don't have to paint a screen to stencil it, but you are limited on paint colors if you don't. On unpainted screens, I usually just use white or cream for lettering. 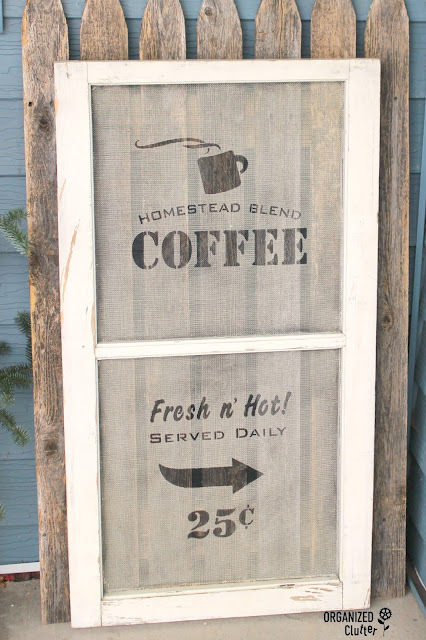 I I taped my large *Old Sign Stencils Thick Grain Sack Stripe to the screen for stenciling. Just so you know, the tape does not hold very well on screen, so you will need to hold the stencil down with your free hand. Also, if the screen has some slack, place a stack of newspaper or something under the screen so it stays level. I used Ceramcoat Select Multi-Surface Paint in Black to stencil on the grain sack stripes. 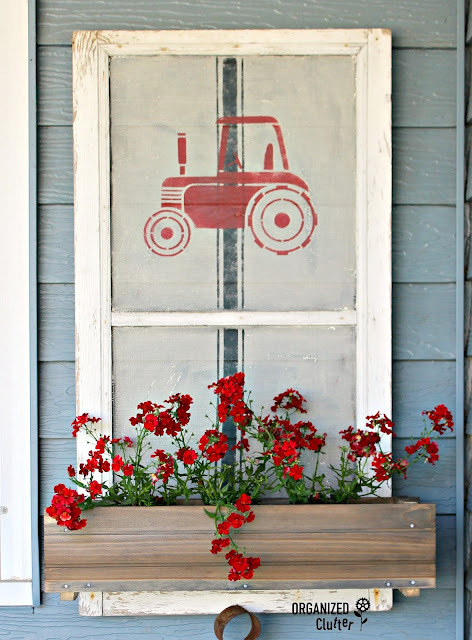 I also used this tractor stencil from the FolkArt Die Cut Paper Stencils Farm Life (26-Pack). I centered it on the top screen, and stenciled it on with Fusion Mineral Paint in Fort York Red. I then attached my window box to the screen frame with screws on each side. I used just two screws. I sealed my screen with Krylon Gallery Series Artist and Clear Coat Spray in Satin Finish. I used two coats, and I did not seal the window box. I hung my screen/window box with eye screws and a wire on the back. 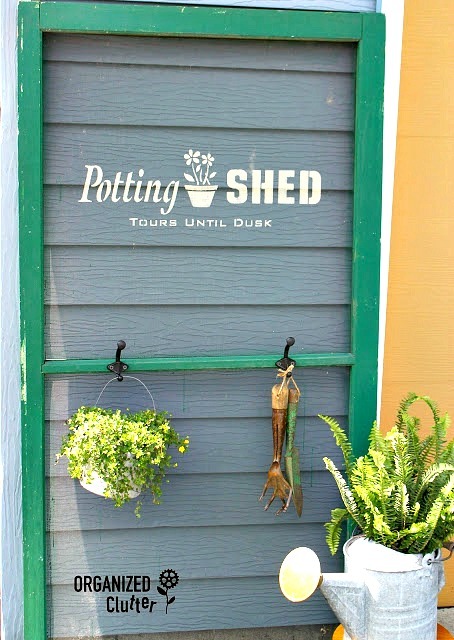 Since I have metal siding, I usually use a wire to hang my projects next to the door, and use the same nail. The screen had a nail in the bottom from previous displays. I may add a couple more nails for more garden tools too. 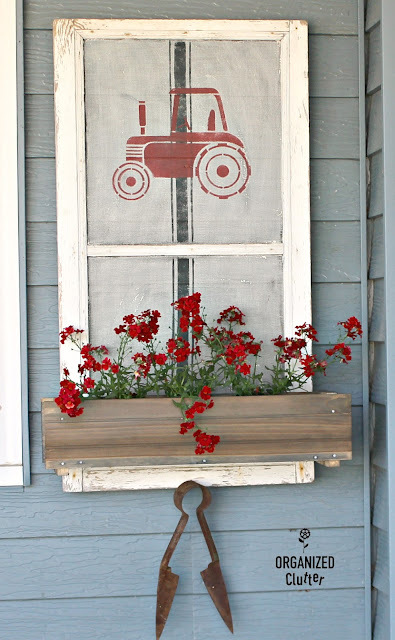 Easy and fun farmhouse style! 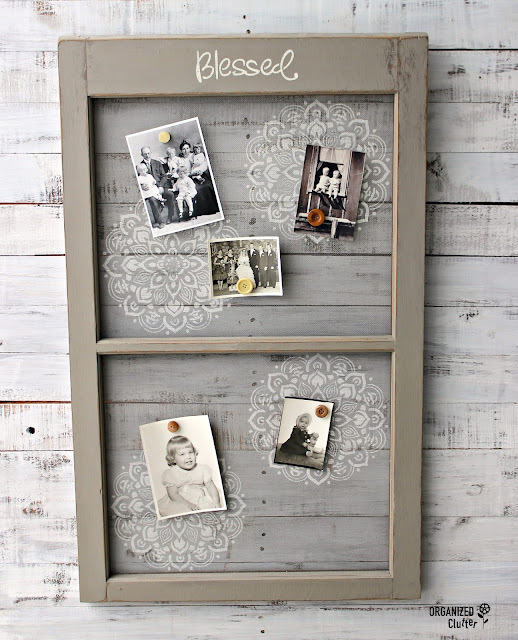 Annie Sloan Chalk Paint in French Linen and stencils made the window screen into a fun photo display piece. See all the details here. 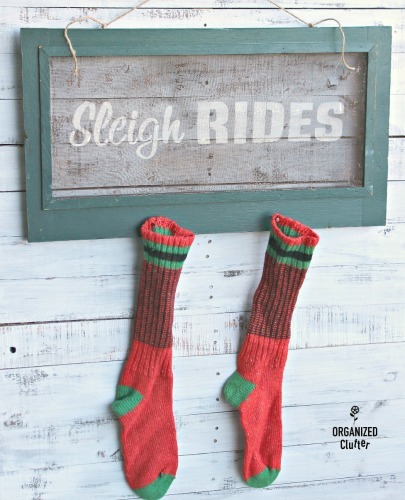 A Christmas/winter screen sign here. Carlene, this is super cute and pretty. I love how you use window screens. The window box is wonderful. This is fabulous! 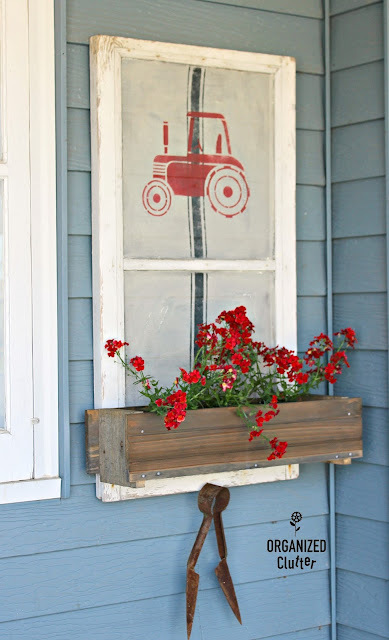 Amazing way to add a "window" to the porch.